Most job shops put a lot of effort into getting the job done as productive and profitably as possible. But if there’s a breakdown in getting it out the door, customer satisfaction can suffer. Your shipping department can often make or break a job. With the logistics industry being as streamlined as it’s ever been, be sure your job shop’s ERP shipping software keeps up with increasing customer expectations. Make sure your ERP software has a robust shipping module. Enterprise resource planning (ERP) and job shop software have revolutionized the manufacturing industry, streamlining the information-sharing process between departments and functions. 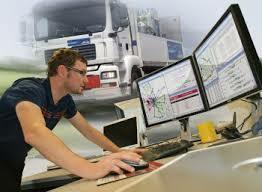 ERP shipping software is a critical part of process. Before implementing an ERP software package, a manufacturing enterprise must make sure it smoothly and relatively seamlessly integrates with the systems used by their shippers. Most of the “heavy hitters” in the shipping business (e.g., UPS, FedEx, DHL and many LTL carriers), use their own applications to manage and track all shipping-related activities. Many ERP vendors have developed robust software solutions that work in harmony with just about any shipping program. The union between a manufacturing organization’s ERP or shop software and a logistics company’s application can create a powerful and precise system that provides real-time tracking of shipped items from origin to destination. These systems often feature shipping label and packing slip generation, costing, carrier rate quoting and scheduling of pickup times among numerous other capabilities. All processes are automated and all information is centralized, allowing for easy access to repeat customer data and histories. This also gives interested parties the ability to quickly produce a variety of reports. Additionally, up-to-the-minute shipping status can be dialed up on a PC or — depending on the system — a mobile device. Mistakes in the shipping process can have a negative impact on how a company’s competence is perceived, not to mention its bottom line. The successful shipping of products and parts requires an ERP shipping software system where all activities are well-coordinated and errors are kept to a bare minimum. When ERP solutions and shipping software work together effectively, this is the rule rather than the exception.